Pierced | Mothers Against Wind Turbines Inc.
Destruction from turbines, Environment, ERT Appeal, fighting big wind. Only when time has passed and the memories of the years long struggle begin to fade, will we know that industrial wind turbines have been banished from Ostrander Point for good. But for now, the creatures who occupy or pass through this bit of land on Prince Edward County’s south shore may do so without the threat of bulldozers rolling across the terrain or 50-story machines whirring overhead. Maybe forever. The Ostrander Point wind project has been stopped. Its appeal period has expired. There remain scenarios in which the project could be revived, but that likelihood is now remote, according to the lawyer acting for the Prince Edward County Field Naturalists (PECFN). The volunteers who form PECFN allowed themselves to exhale on Thursday evening—after the developer’s appeal period had expired. “It is particularly wonderful to finally realize that the battle is over,” said Cheryl Anderson of PECFN. The decision by the Environmental Review Tribunal—written by Heather Gibbs and Robert Wright—fundamentally alters the future for Ostrander Point, and has the potential to disrupt other projects involving land where Blanding’s turtles are known to nest, including White Pines and Amherst Island. But it has the potential to reach much further. Indeed, it has the potential to shake the very foundations of the Green Energy Act (GEA). 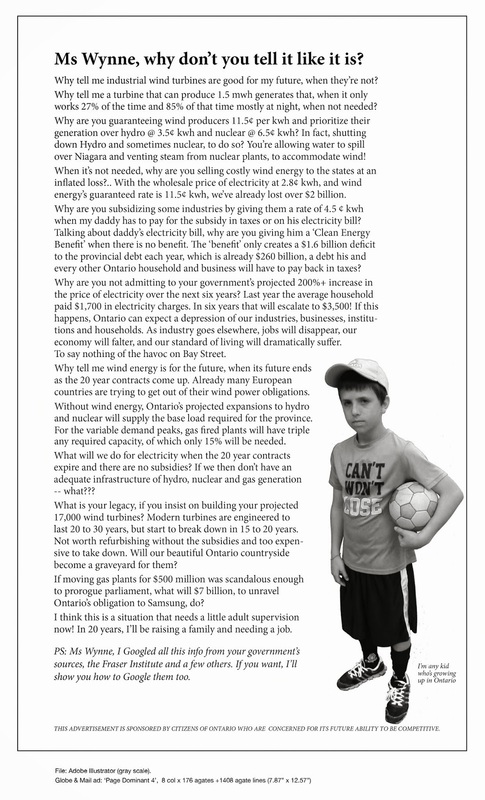 In 2009, the provincial government, led by Dalton McGuinty, was unsatisfied with the pace of wind and solar energy development in the province. Deadline after deadline had passed and his targets for renewable energy had gone unmet. A panel of experts had reported a year earlier that the regulatory process— the safeguards that protect human health, the environment and even the electrical grid itself—were causing the delays to wind and solar development across the province. The GEA set out to remove these hurdles—eliminating safeguards in the Ministry of the Environment, Ministry of Natural Resources and Forestry, Ministry of Energy and the Ontario Energy Board, among others. Since the GEA was enacted, industrial wind and solar projects have been reviewed and approved behind closed doors in a mostly tightly controlled process. The only nod to public transparency and accountability was a single Environmental Review Tribunal…..